It’s probably about a foot deep at the moment. 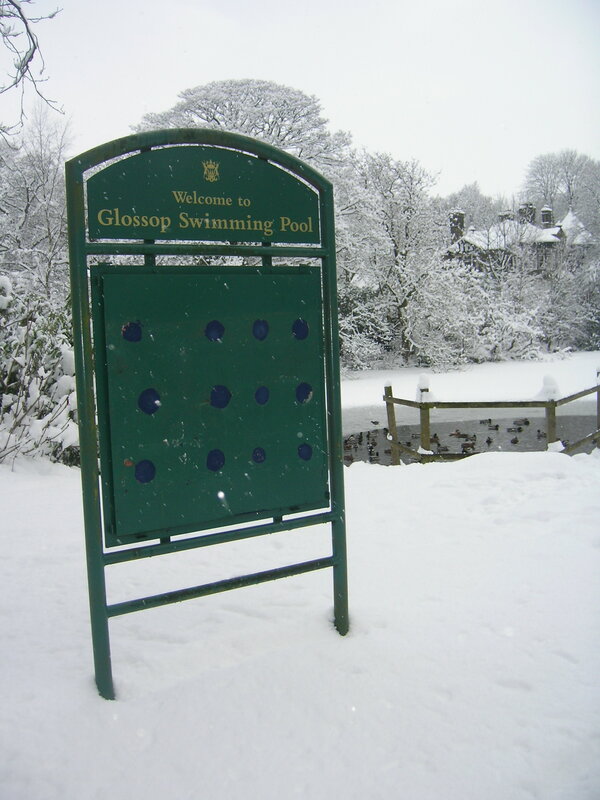 Apparently, GMTV were in Glossop yesterday reporting that it was the coldest place in Britain at -9 degrees! Well, lucky for me, school was closed and is closed tomorrow as well. So, with no work to do, what did we spend our afternoon doing? 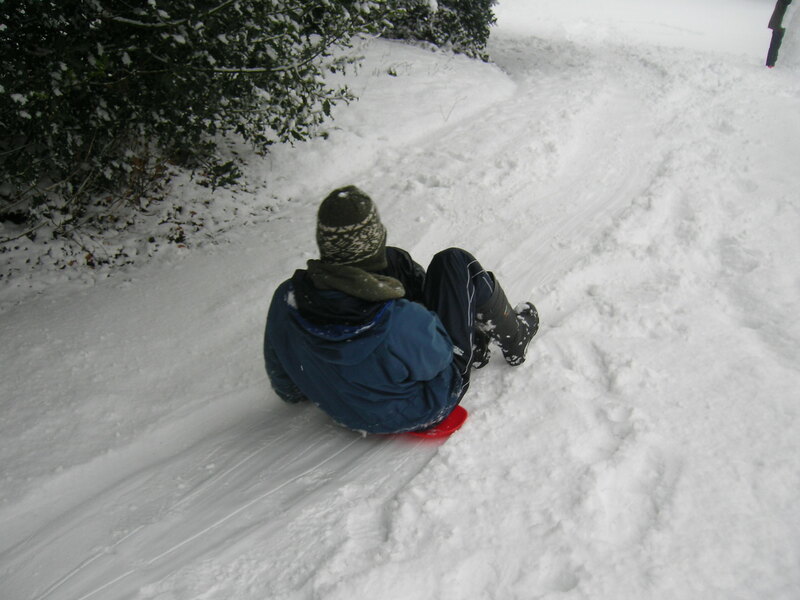 Aidan on his snow slide! Our friends, Rachel and Deiniol, came with us to the local park. 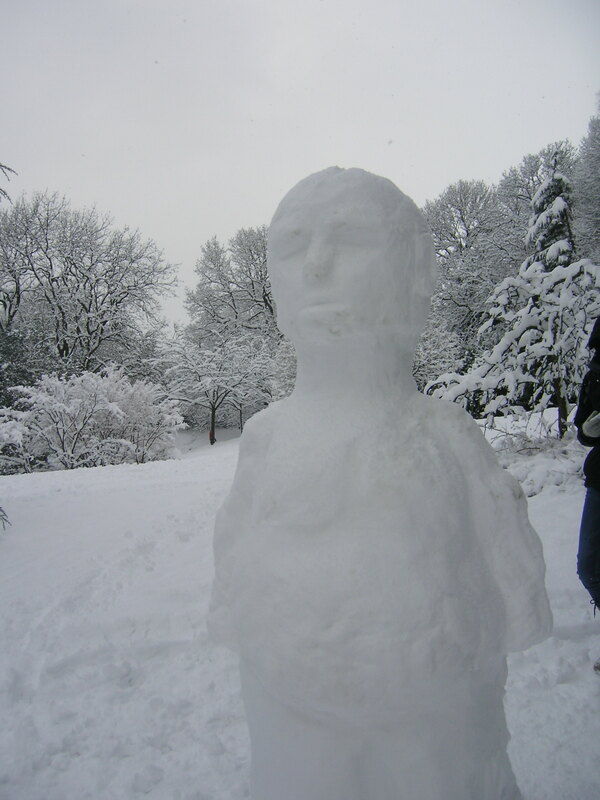 We began by building a snowman, a bog-standard one I might add, but Deiniol, being a bit arty like, had to improve on it… Hence the snowman at the top that looks like it’s about to open its eyes! Unfortunately, some scallies knocked it down soon after we left it. Just watch out for the ducks! Next Post School’s Out for Winter! That is actually amazing! Cold is probably not the word. 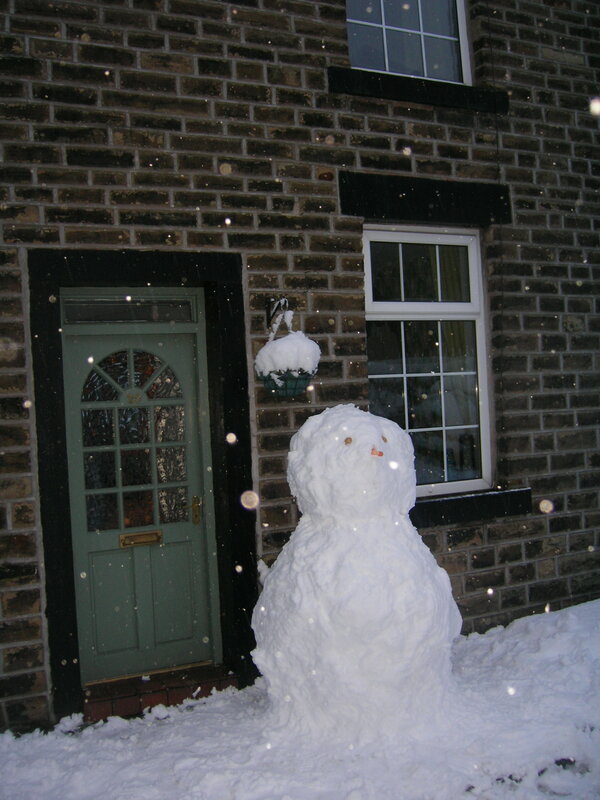 My boyfriend is back outside as I type, making his snowman even bigger. 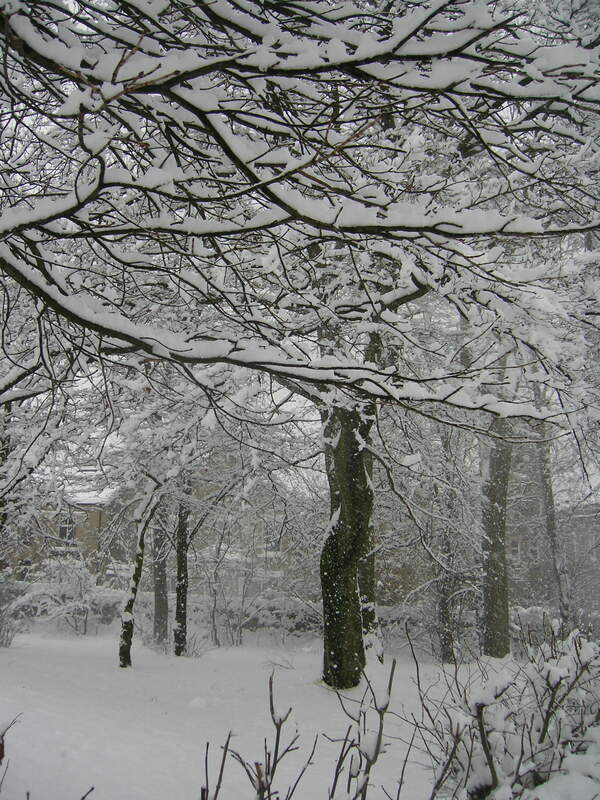 I’ve never seen snow like this in my entire life; I can’t even imagine -19, never mind -38!